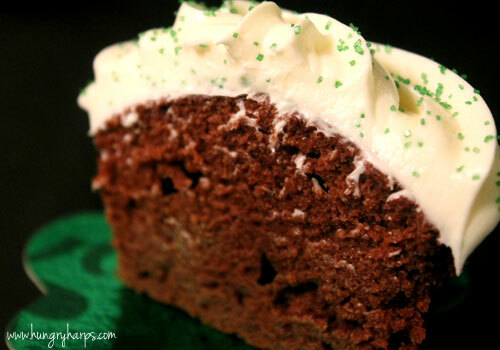 One of the goodies we served for St. Patrick's Day this year were Chocolate-Guinness Cupcakes with Cream Cheese Frosting. They were so delicious and pretty darn easy to make. 5. Fill cupcake liners up 2/3 full. Bake for 20 minutes, rotating pan once during baking. Bake until toothpick inserted in cupcake comes out clean. 6. Cool cupcakes on rack. Frost with Cream Cheese frosting and enjoy! !